Japan has been used to the existence of robots and artificial intelligence in society for years. There is a long cultural legacy of humans dealing with robots, and vice versa, not only in the fictional mecha anime and manga tradition but also in the technological endeavors of large companies to come up with robotic solutions in real time. Typically associated with the technological avant-garde, Japan’s governmental, academic and corporate institutions are not merely producers of technology, but also authors of cultural narratives about how humans should relate to each other and their environment in current and future technologically mediated societies. Japan’s evolving imaginary of a “robot culture” emphasizes technologies that are no longer just meant to do things for humans, but to also do things to and with humans (Turkle, 2006). Robots as social entities are expected to fulfill new roles as companions, caretakers, “natural” interaction partners, and mediators between humans and the increasingly complex socio-technical environments we live in. These “relational” artifacts enable people to project and reflect on their ideas of self and to interact with technology in qualitatively different ways (Turkle, 2005). The interdependence of the technical and the social makes technology increasingly visible not only as material artifacts, but as the embodiment of “a culture or a set of social relations made up of certain sets of knowledge, beliefs, discourses and practices”(Wajcman, 1991, p. 149). Consequently, discussions about the meaning of “robot culture” do not depend solely on technological constraints, but must include the particular cultural, social, historical, ethical and psychological dynamics of these new socio-technical systems. (transitive, intransitive) To adapt to digital technology or culture. (science fiction, rare) To make into a cyborg; to fit with a cybernetic implant or prosthesis. 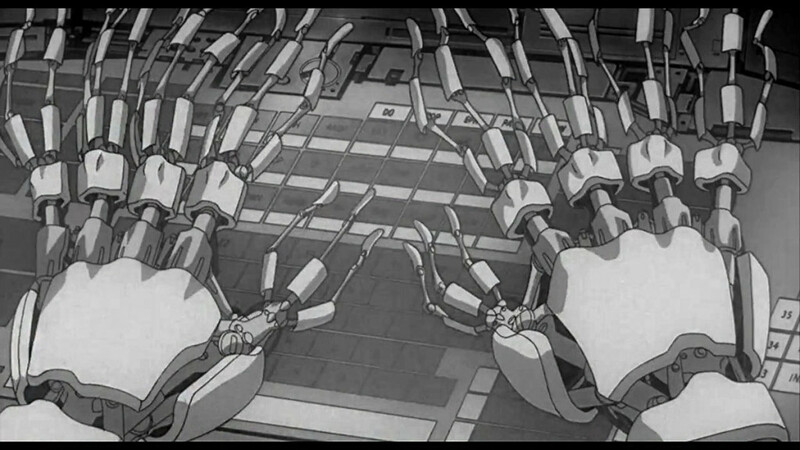 In this cyberpunk iteration of a possible future, computer technology has advanced to the point that many members of the public possess cyberbrains, technology that allows them to interface their biological brain with various networks. The level of cyberization varies from simple minimal interfaces to almost complete replacement of the brain with cybernetic parts, in cases of severe trauma. This can also be combined with various levels of prostheses, with a fully prosthetic body enabling a person to become a cyborg. The heroine of Ghost in the Shell, Major Motoko Kusanagi, is such a cyborg, having had a terrible accident befall her as a child that ultimately required that she use a full-body prosthesis to house her cyberbrain. This high level of cyberization, however, opens the brain up to attacks from highly skilled hackers, with the most dangerous being those who will hack a person to bend to their whims. In May 2016, during the Asian residency of the EMBA program at the Berlin School of Creative Leadership in Tokyo Japan, we were introduced to the Japanese creative industry with several lectures on what it is to be Japanese.